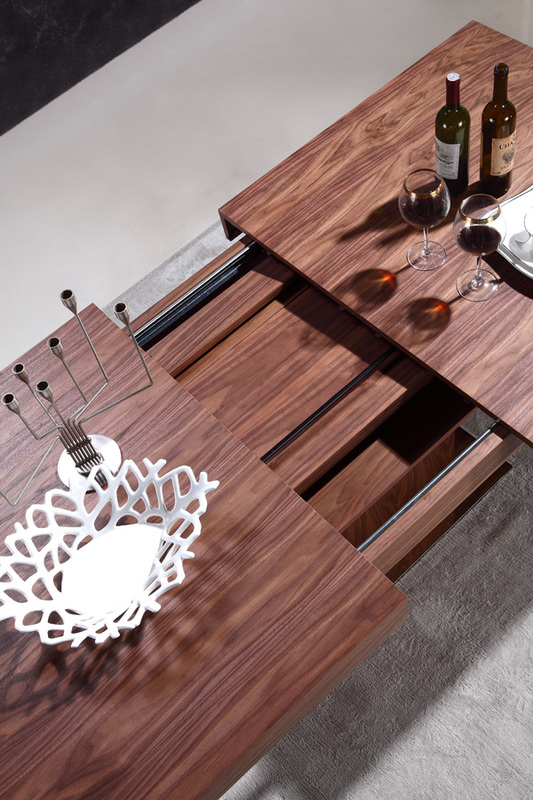 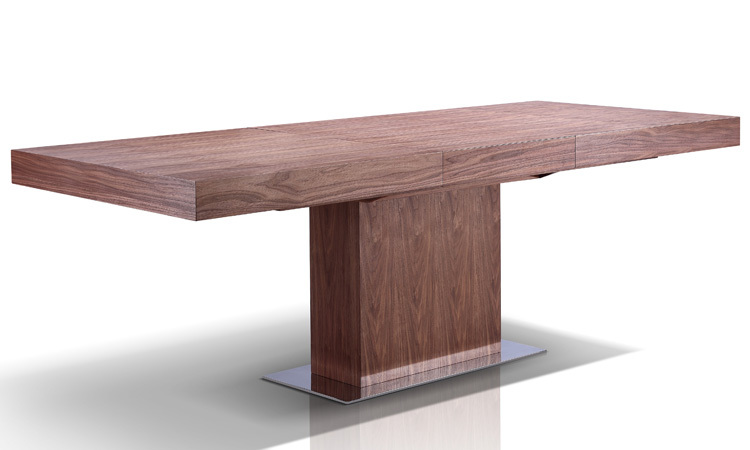 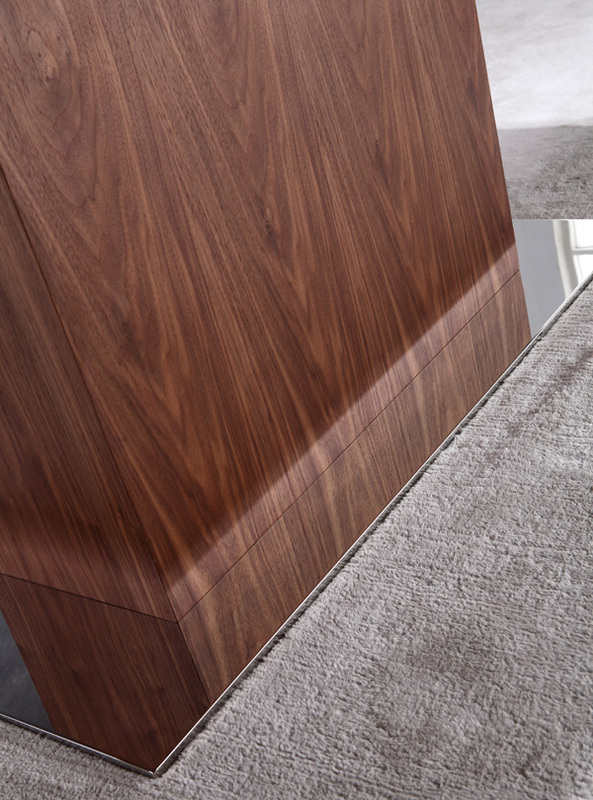 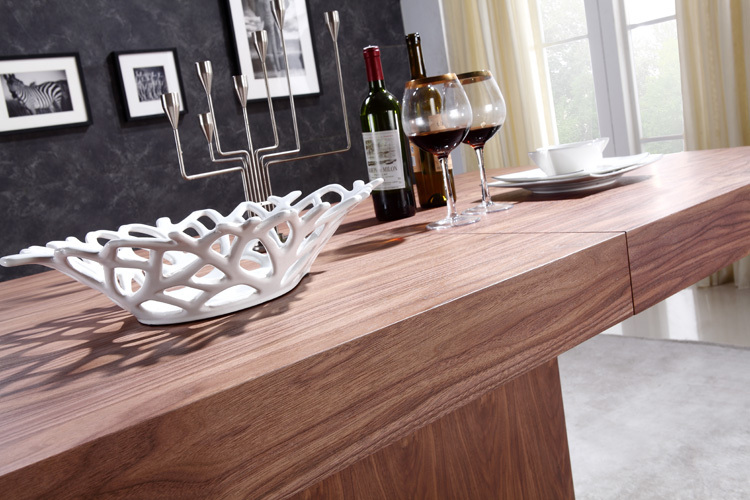 A strong, stately contemporary dining table with a walnut veneer top and central extension leaf, stored within the table column when not in use. 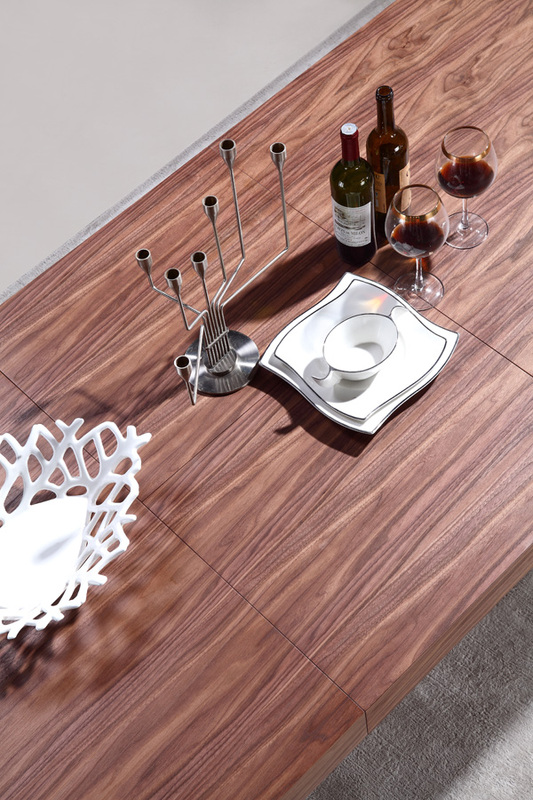 Chromed metal base plate. 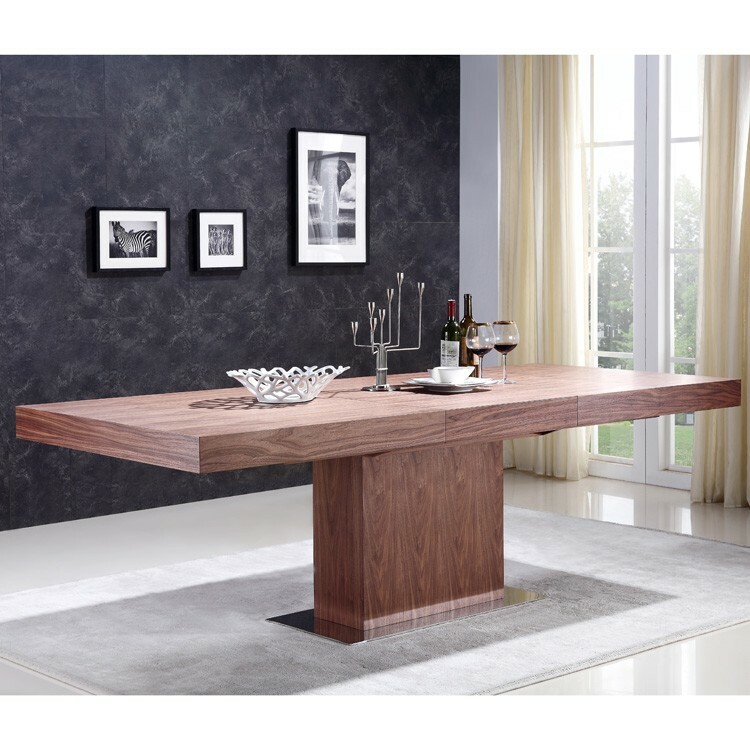 Adds a touch of class to any dining room space.